It offers a dedicated discovery and search experience designed to help people find their next vehicle and to help local dealerships reach the millions of people who are already looking for used vehicles on Marketplace every day. 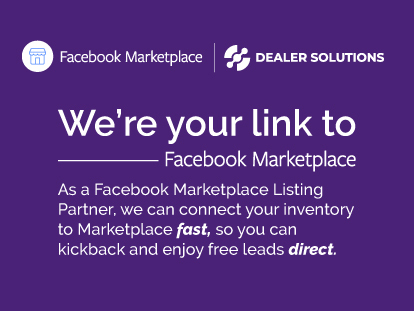 Dealer Solutions is a listing partner for Facebook Marketplace and with our Inventory Distribution product, we can set up Facebook Marketplace as a new advertising destination to promote and sell your used car inventory. 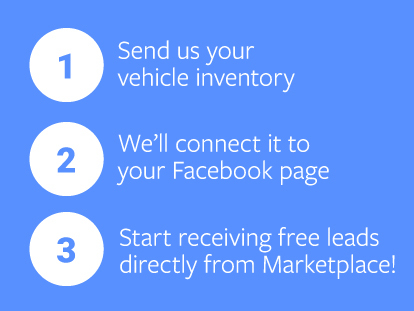 We can get you started on Marketplace! Don't have a Facebook page? We can create one for you today!